UPDATE: Two men arrested in connection with a reported attack on Jussie Smollett were released on Friday without being charged. "Due to new evidence as a result of today's interrogations, the individuals questioned by police in the Empire case have now been released without charging and detectives have additional investigative work to complete," tweeted Anthony Guglielmi, Chief Communications Officer of the Chicago Police Department. Chicago police have identified and arrested "two persons of interest" amid their investigation into a reported attack on Jussie Smollett. Last month, the 36-year-old Empire actor told Chicago police he was attacked in the city by two men who shouted racist and homophobic slurs at him, put a rope around his neck and poured an unknown chemical substance on him before fleeing the scene. The news has been met with much skepticism online, as for weeks, authorities did not make any arrests or unveil evidence to back up his account. Smollett sought treatment at a hospital after the attack and was revealed to be in good condition. Soon after he reported the incident to police, Chicago investigators released surveillance video images showing two "persons of interest in the area of the alleged assault and battery" of Smollett. Police said at the time that while the video "does not capture an encounter, detectives are taking this development seriously and wish to question individuals as more cameras are being reviewed." On Wednesday, police detained two men who arrived on a return flight from Nigeria. Chicago Police spokesperson Tom Ahern told E! News, "They are under arrest and being questioned as suspects but have not been charged." Anthony Guglielmi, Chief Communications Officer of the Chicago Police Department also tells E! News, "Interrogations will resume today with the two individuals and their attorney. While we haven't found any video documenting the alleged attack, there is also no evidence to say that this is a hoax. The alleged victim is being cooperative at this time and continues to be treated as a victim, not a suspect." The men's lawyer told CBS Chicago the two were "really baffled why they are people of interest," adding, "They really don't understand how they even got information that linked them to this horrific crime. But they're not guilty of it. They know that the evidence is going to prove them innocent. They send their best to Jussie." Smollett's rep had no immediate comment on the latest police statements. Amid the skepticism, the actor has stood by his account, also telling the public, most recently via a GMA interview, that he fought back against his attackers. 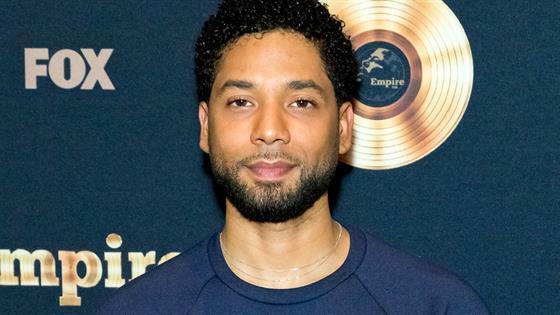 "I'm pissed off," Smollett said on GMA, referring to the doubts cast about his account. "It's the attackers, but it's also the attacks. You know, at first it was a thing of, if I tell the truth, that's it, because it's the truth. Then it became a thing of like, oh, how can you doubt that? How do you not believe that? It's the truth. And then it became a thing of, oh, it's not necessarily that you don't believe that this is the truth, you don't even want to see the truth." Published on Thu, Feb 14, 2019, 8:52 a.m.